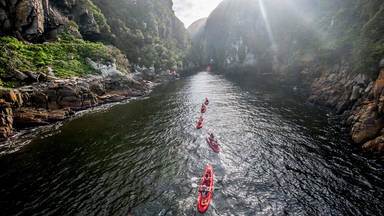 Guided ocean and river adventures and activities in Tsitsikamma National Park on the Garden Route. Untouched Adventures takes you to some of the most spectacular scenery South Africa has to offer where the awe-inspiring Storms River meets the ocean, near Knysna on the Garden Route. 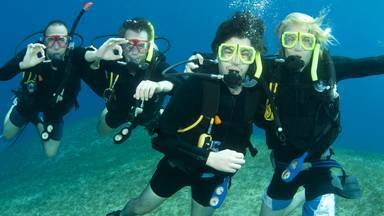 We specialise in all sorts of water adventures including kayak, lilo, stand-up paddle board, scuba and snorkel. The activities Untouched Adventures and their highly experienced guides offer are all a little out of the ordinary and take you to places that still feel mostly undiscovered, unspoilt and wild. This was a very enjoyable outdoor experience. We were a large family group (2 generations) and it wa... - Colleen Viehrig. Book things to do at Untouched Adventures. Find the best things to do at Untouched Adventures. What people say about Untouched Adventures. This was a very enjoyable outdoor experience. We were a large family group (2 generations) and it was fun for all of us - an adventure, but not too strenuous. Our guides were entertaining and knowledgeable - I can really recommend this activity. Very good Experiences for all my family in a awesome place Great Job of the guides Chad and Evan. 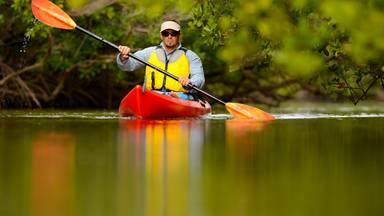 Thank you for the good and fast kayaking organization. Clean well-maintained equipment, a beautiful route, friendly guides. Good experience, looking forward to the next time to play.